In this post, you’ll learn how to upload, configure, and use SEOPressor Connect plugin on your WordPress website. Two of my all-time favorite SEO plugins for WordPress is WordPress SEO by Yoast and SEOPressor Connect. In fact, I use both of these plugins right now. 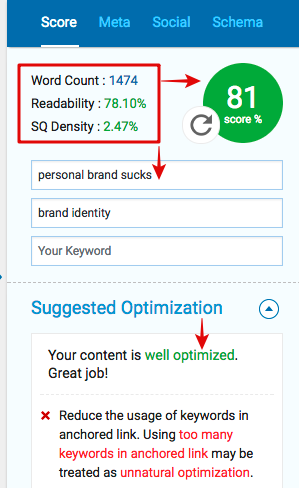 If you want to compare both of these plugins side-by-side, I recommend you check out my detailed Yoast SEO VS SEOPressor Connect review and comparison post here. OK so in this tutorial post I’m going to show you how to install, configure, and use SEOPressor Connect on your WordPress site or blog for better on-page optimization. First of all, if you’re not using any kind of SEO plugin but wish to have better control over your search engine visibility, I highly recommend you install one these two plugins. 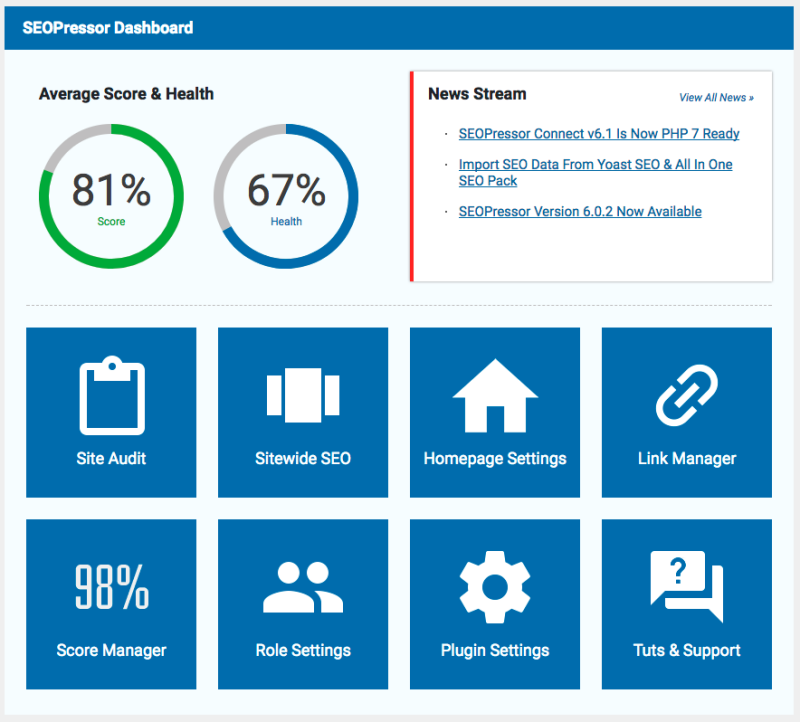 You can learn more about SEOPressor Connect and even grab the plugin by clicking here. 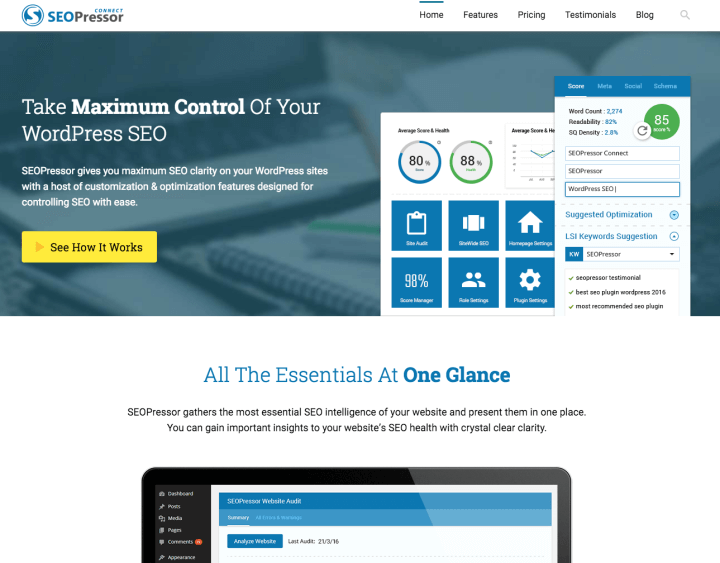 Once you have obtained a licensed copy of SEOPressor Connect, installing the plugin into your WP website is relatively easy. Simply drag the zip file of the plugin straight into your plugins upload page in your WordPress dashboard, then click upload and activate. See image below. Once installed, you’ll need to go to SEOPressor > Plugin Settings to make sure you activate the plugin using your new license credentials. See image below. Once you’re ready to roll, head over to SEOPressor > Dashboard to begin configuring the plugin See image below. At the top of the dashboard, you can also see your website’s overall average SEO score and health. Now let’s dive deeper into each of those areas to correctly setup and configure SEOPressor Connect for your website. When you click on Site Audit, depending on when you last audited your website, you’ll see a page like the one below. see image below. Error reports and quick links to fix the errors. 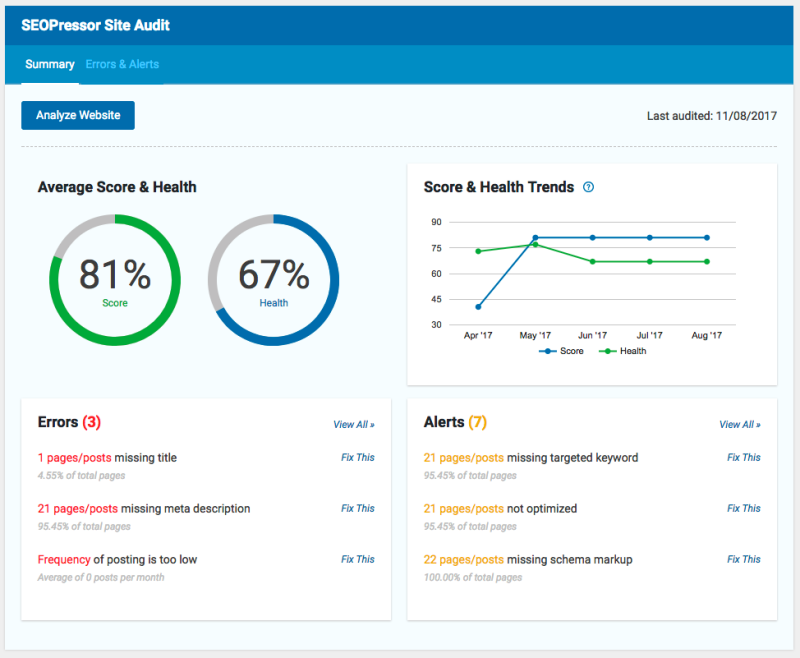 When you click on Analyze Website, SEOPressor will crawl your entire website and give you an updated audit report of your blog’s health. I would personally recommend you use this feature half a dozen times each year so that you can make improvements where needed using these reports. 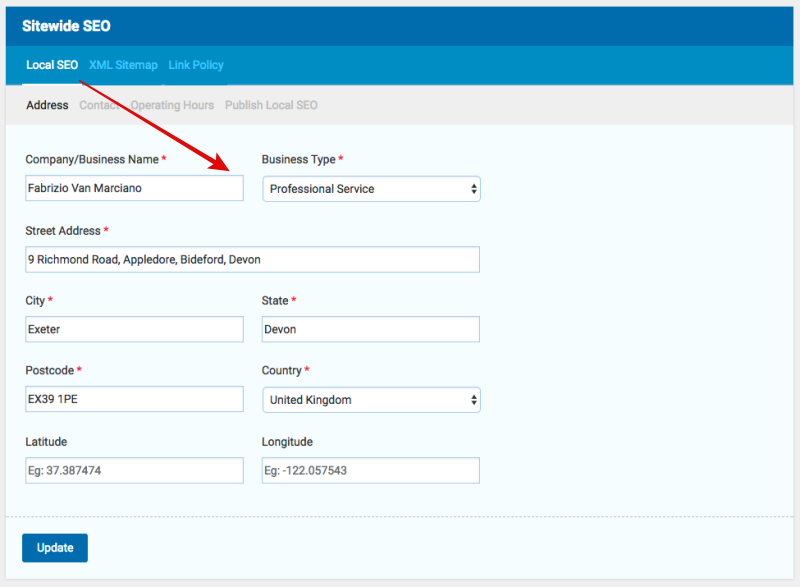 OK let’s move over to the Sitewide SEO Options available in SEOPressor Connect. See image below. This is where you will need to add as much information as you can about your website to get the most from the Sitewide options. Your company or business name and address. Operating hours if it’s a local business. Local SEO options again if your website is a locally based business. 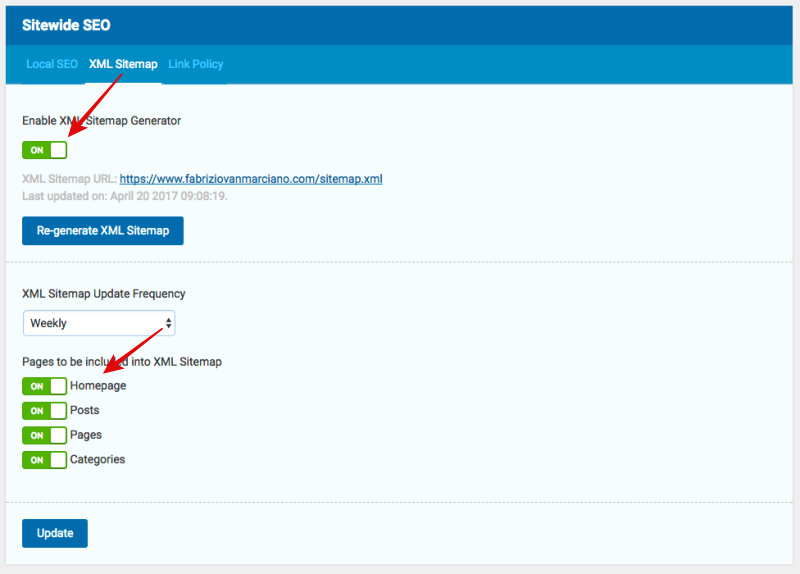 Enable sitemaps, which I would recommend you do if you’re not already using a SiteMaps plugin of any other kind on your website. The plus point is that a built in SiteMap means you don’t need to install an external plugin to manage your Sitemap. Link policy settings. Here you can choose whether you want to add no-follow tags to external links and image links. Would I recommend doing this? Well, it’s entirely up to you. I use no-follow tags on 80% of the external links on Magnet4Blogging. Check out the images below. Next, we’ll move on to the homepage settings options in SEOPressor Connect. See image below. Since your homepage is probably one of the most visited pages on your entire website or blog, I would highly recommend taking some time to update these options carefully. Meta settings, including Robot rules, Canonical URL and 301 redirection option (I recommend you add some useful meta data on this page if you use a custom static homepage for your website or blog). Next, we move on to the link manager option. This is one of my favorite features in SEOPressor Connect. On this page, you have full control of your website’s link profile. You can view a link to the page the page, anchor text link name and the status of that link (Alive or Broken), and also when the link was last checked. See image below. By default, link manager refreshes every 7 days. You can also manually refresh to generate a new report should you need to. 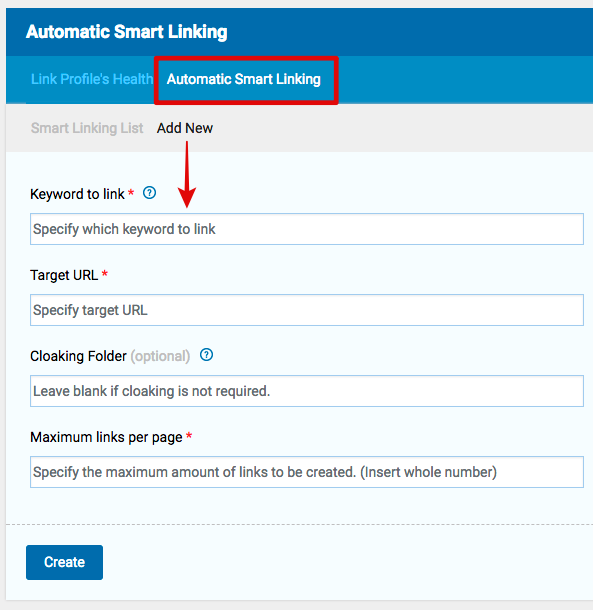 In the Automatic Smart Linking option, you can create your own links to be automatically replaced inside your content. I would recommend using this feature if you have some keywords or phrases you’d like to link to a specific post or page. This saves time having to find each post and add links in manually. The score manager gives you an overview of how each of your post and pages are scoring for SEO. This is extremely useful and will save you a lot of time trenching your way through lists of pages to find which post or page needs improving. You can sort by type of page, date, or SEO score. I would recommend keeping an eye on your SEO score every now and then just ensure you have nothing but high scores for each of your post and pages. You don’t really need to make any changes to roll settings, unless, of course, you run a multiple author blog. OK so we’ve walked through most of the site-wide options and recommended settings, let’s now look at how to use SEOPressor Connecot on-page tools and options to maximize your chances of getting your content ranked high in the search engines. Let’s run through each one of these. So your goal is to aim for a high SEO score. A good SEO score will help give your content better chance at ranking high in the SERPs (Search Engine Result Pages). The best way to achieve this is by making sure you’ve dealt with most of the on-page options the best you can, as well and ensure your content meets the criteria needed for a good score. SEOPressor Connect will also give you some optimization suggestions, as well as LSI keywords suggestions which can save you some time when adding your three keywords for optimizing. OK, so here you will need to fill in some information about your post or page. 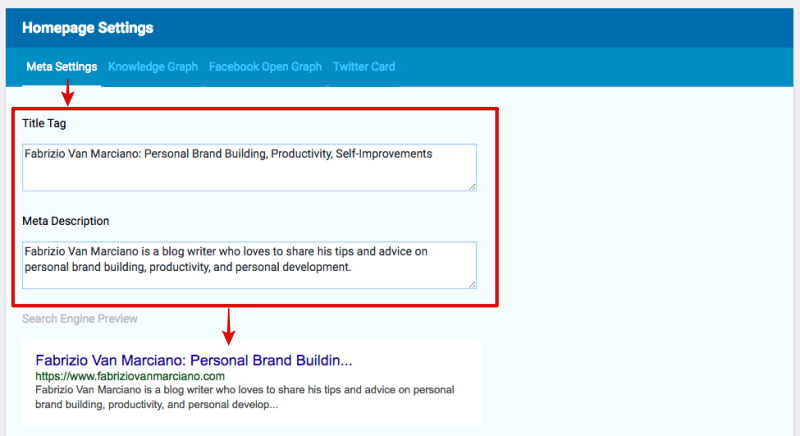 Most people just copy the title and first paragraph of their content to paste into these fields and be done with it. I don’t recommend you do that. Instead, be a little more creative with your meta information. Asides SEO, you want to create a clickable headline title as well as a compelling description. Something that will entice visitors to click on your search listing. You can also change the Robot rules of individual posts and pages in the Meta option. For this option, you can turn on or off the Facebook open graph and Twitter cards. If you’re really focused on social media optimization, I would recommend spending some time configuring these settings to your liking, otherwise just leave them blank. The Social option has it’s own Meta options. You can also upload an image to show in Social Media. If you’re using a third party social plugin like Social Warfare, for instance, you don’t really need to mess about with the social options, especially when these are available in the Warfare plugin premium. This is vital if you want to maximize the visibility of your listings in search engines. 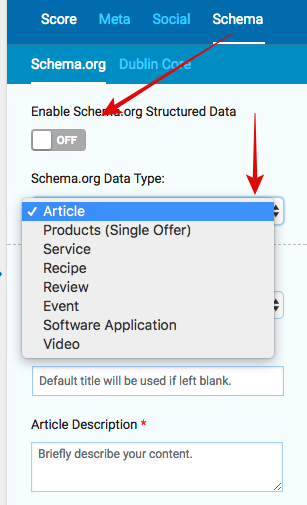 The options in Schema and Dublin Core allows you to customize your enhanced rich snippets as well as select the correct data type. OK so let’s quickly recap some of the things you need to do to make the most of SEOPressor Connect on your website. Add company or business name and address. Add three focus keywords or long tail phrases relative to your post or page content. Add Meta information about post or page. Add social media optimization information. Add Schema and Dublin core data. So that is it essentially, that’s how to use SEOPressor Connect. That’s how to make the most of all the tools and options available in this plugin. Once again if you don’t already have this plugin on your site, and want it, just click the button below to be taken to the SEOPressor website. Note: This post may contain affiliate links to products or services that I use in my business and therefore recommend. This means if you click on an affiliate link and make a purchase of a product or service, I may earn a small commission, at no additional cost to you. WordPress SEO By Yoast or SEOPressor Connect – Which Plugin Should You Use In 2019? Fabrizio Van Marciano is the founder and editor at Magnet4Blogging.Net. Fabrizio has been blogging since 2010. As well as teaching others how to build a successful and profitable blog, Fabrizio loves to to learn from others too. 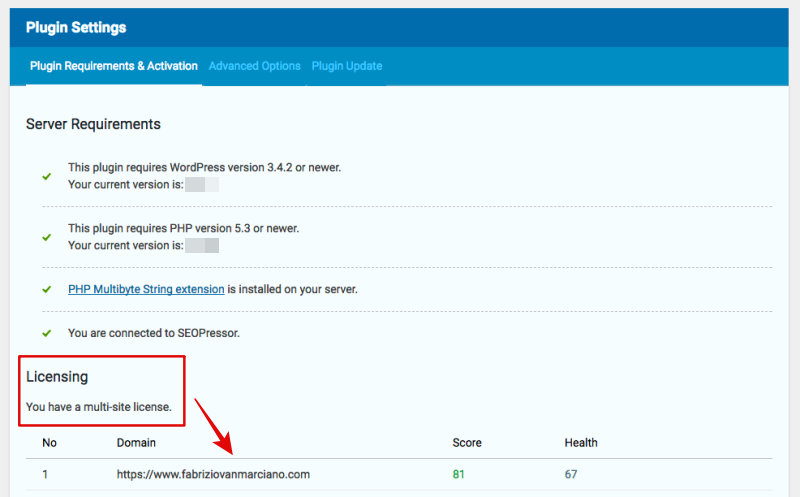 Fabrizio is also a certified web designer and front-end developer at FabrizioVanMarciano.com. You can follow his antics over on his Instagram profile. I have been aware of WordPress SEO by Yoast, but SEOpressor connect is something new to learn for me over here. And The Best Niche For Blogging, And Making Money Is? WPForms vs. Gravity Forms vs. Contact Form 7 – Which Is The Best Forms Plugin? Want to become a smarter and better organized blogger? My Ultimate Pro Blog Planner workbook will help you become the best blogger you can be. © Magnet4Blogging 2013 - 2019 | Website crafted with in Appledore by M22Media.